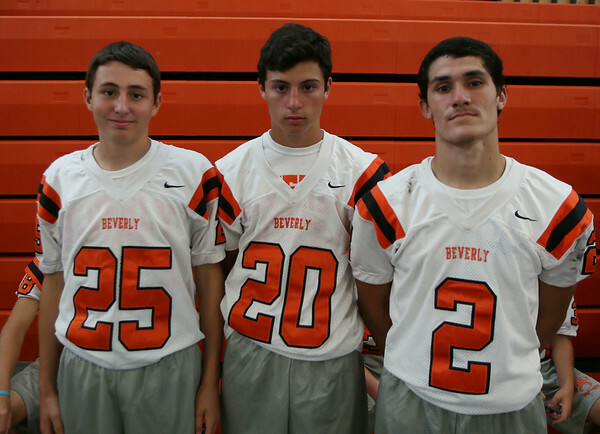 From left: Beverly Football Players Matt Pitman (25), Sam Abate (20), Christian Echevarria (2). DAVID LE/Staff photo. 8/22/14.